It is our goal to provide optimal upkeep and care for your 964. Our year-long experience with this Porsche classic makes us your most competent specialist for upkeep, maintenance and repair. 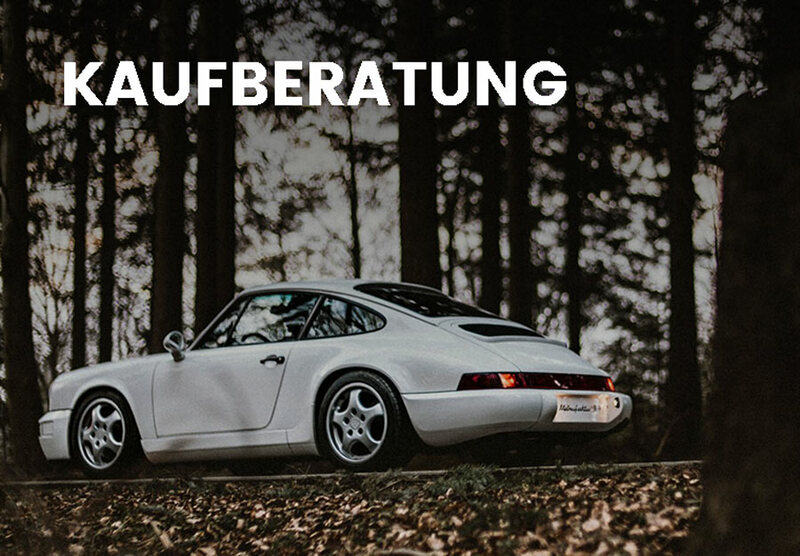 Our in-depth understanding of the Porsche 964 is always at your disposal and we will be glad to answer any of your questions. The Porsche engine is the core part. Our service covers either a replacement or a general overhaul that will bring the engine’s mileage back to zero. The 964’s engines have been manufactured with most reliable sturdiness. They can often withstand 500,000 kilometres of mileage without any problems. However, throughout the years of utilisation, it could happen that oil consumption will increase. Sadly, many owners skip the valve lash’s readjustment due to cost concerns. Such recklessness can cause expensive damages to the engine, e.g. reduced performance or individual cylinder failure. The maintenance-free hydraulic filters have only been made available for the follow-up models 993 and newer. In contrast to coupés, convertibles are usually being driven more gently but nobody can prove exactly how much the previous owner has taken out of their beloved high-performance car. It is normal for air-cooled engines to show a fine layer of oil on the outside. As mentioned before, the vehicles could be up to 26 years old and the engine’s sealings age. Even if their maintenance had already been performed, it will be needed again sooner or later. 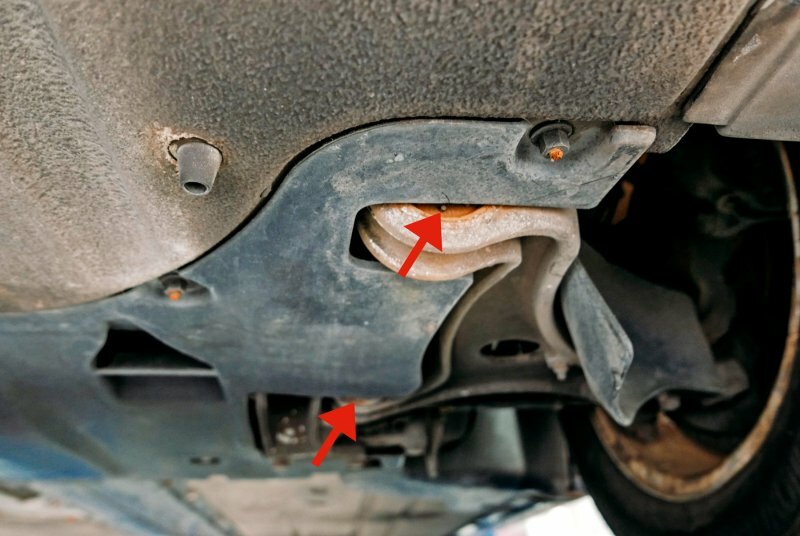 Usually, the heat protection plates, which are made to prevent suction of the hot air around the car’s exhaust, tend to have some damage as well. They should be checked out and replaced with new parts. Unfortunately, the bottom-side engine cover doesn’t allow for closer inspection. A leaking engine will result in high costs. Authorised workshops usually ask for up to 8,000 Euros for engine sealing and maintenance. A complete overhaul of the entire engine including replacement of all worn-down parts can even cost up to twice of that price. Sealing the valve covers and control box is a little less expensive. 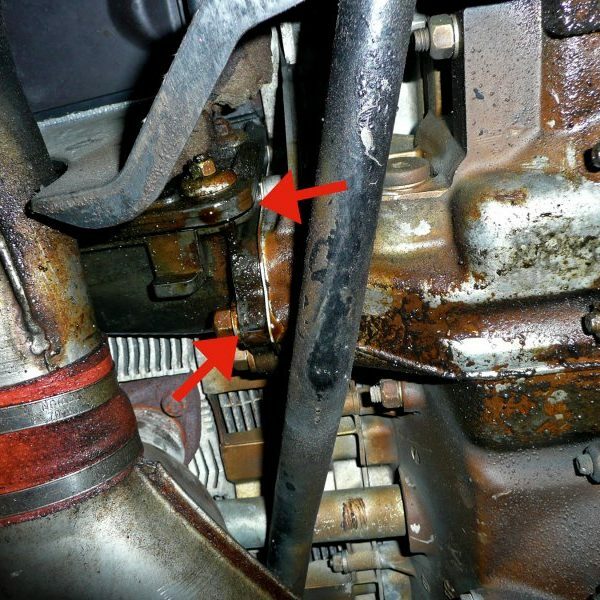 Above is an example of a leaking engine. 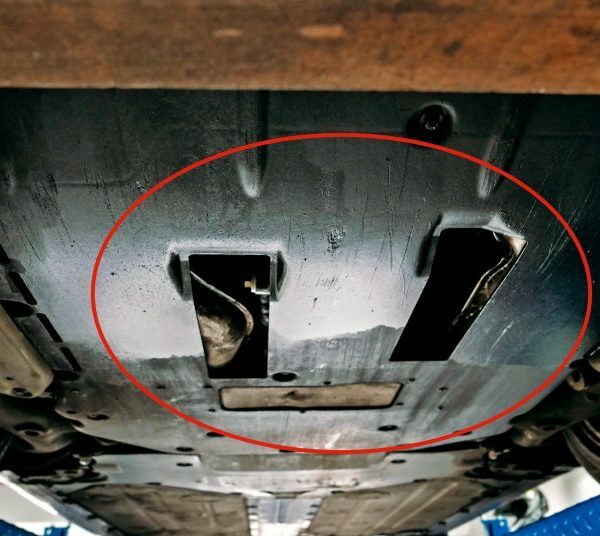 Due to the engine’s bottom-side cover, it is hard to notice the situation right away, but the oily-wet cover already reveals that there must be a problem. 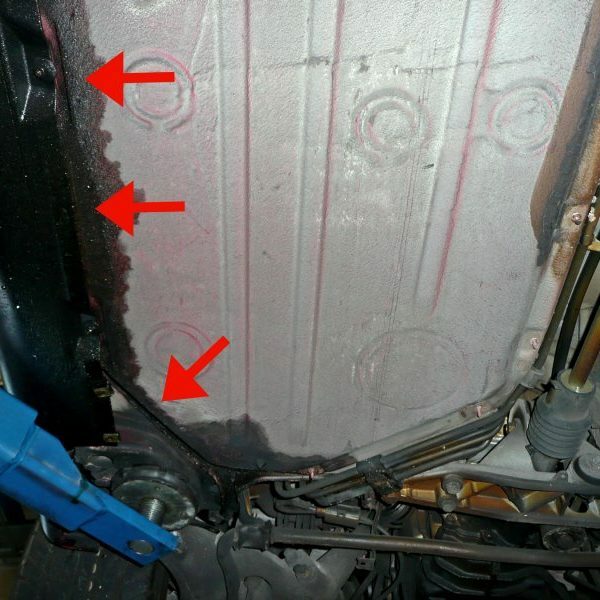 This usually happens due to the valve cover’s coating dissolving and entering the oil cycle. 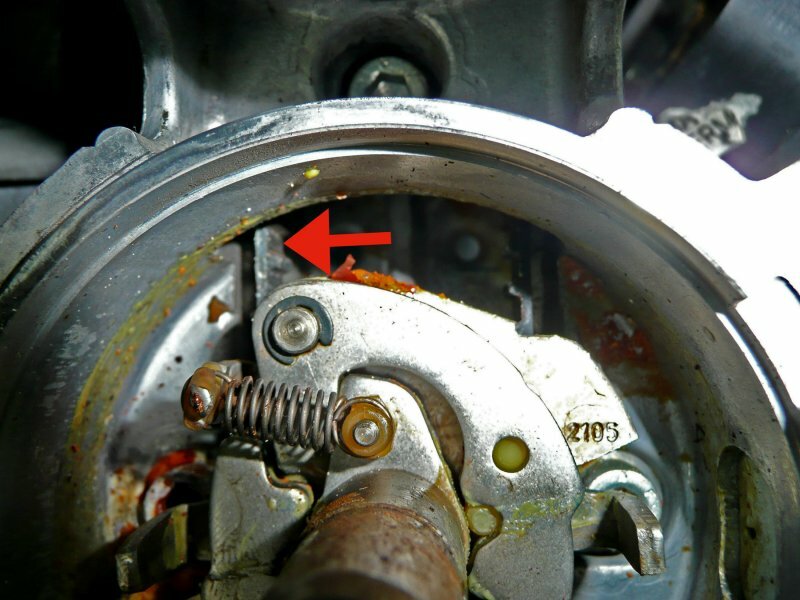 Often enough, the cause are oil residues, that have dripped onto the cover next to the cylinder head while refilling the engine oil or the steering assist system’s storage supply. he image shows a leaking control chain. 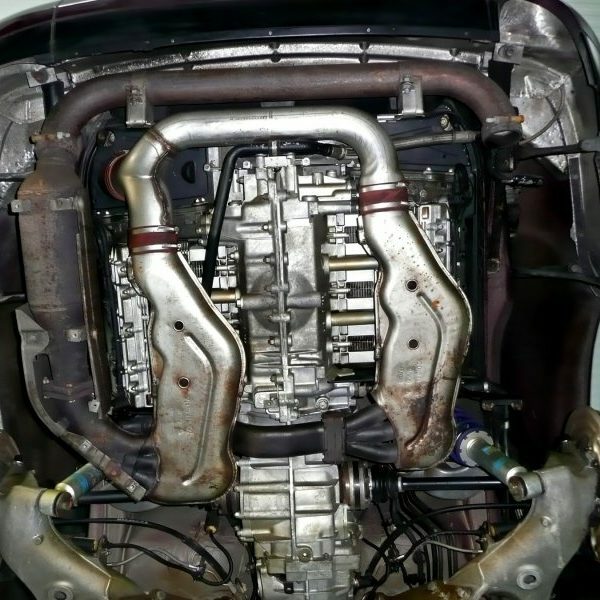 Image of a leak-proof Porsche engine. The Porsche 964’s oil pipelines usually run from the engine across the external oil cooling to the dry-sump storage supply and back. They can start to leak and could eventually burst. This would be fatal, because a bursting pressure pipe would pump the engine’s oil right towards the rear wheel. On top of that, the oil pump’s high capacity would exhaust the oil completely within seconds. Consequential damages would be inevitable, leaving you with a complete overhaul as the only solution. There are many cases in which the pipes are already oozing oil around the dry-sump supply storage, meaning that the mentioned damages could occur very soon. The oil thermostat, oil storage supply and its oil pipes are located within the wheelhouse in the right back. In the case of leaking oil pipes around the thermostat and oil storage supply, the oil will collect inside the cover’s threshold and will eventually start to leak out of the bottom-side cover area said threshold. This can be seen clearly in the following example images. The oil cooler is located within the right front wheelhouse. Here, we have replaced the oil cooler itself and its respective pipelines. The image shows the oil cooler with dismounted front covers and wheelhouse cover. 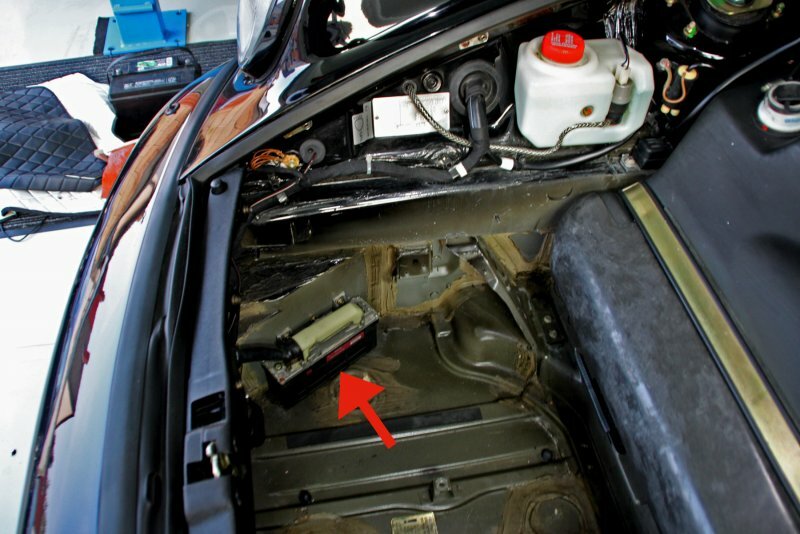 The front oil coolers are often leaking as well and need to be replaced. 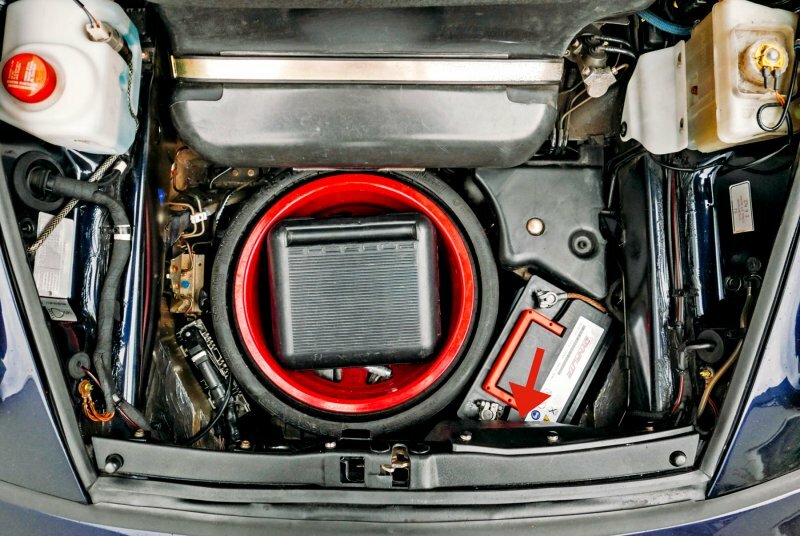 It is also important to check the exhaust system and its heat exchanger – which are very expensive parts. Porsche sells rear mufflers for around 1,300 Euros. The two heat exchangers are significantly more expensive. According to statistics, most Porsche 964s are still running well and reliably with their first system and won’t need replacements all too soon. Exhaust system with dismounted engine cover and cup pipe. The pipe replaces the pre-silencer, which is located between the catalyst and rear muffler. 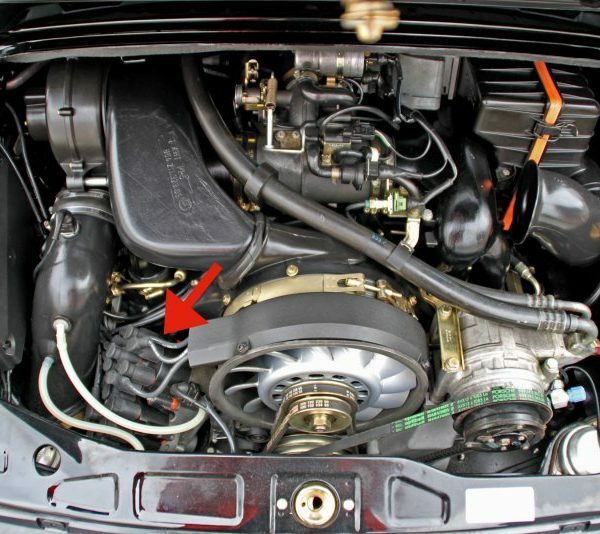 A particular weak point is the Porsche 964’s drive belt for its second ignition circuit. The first models came with cambelts that had the tendency to tear. Major damages to the engine would follow such failure. 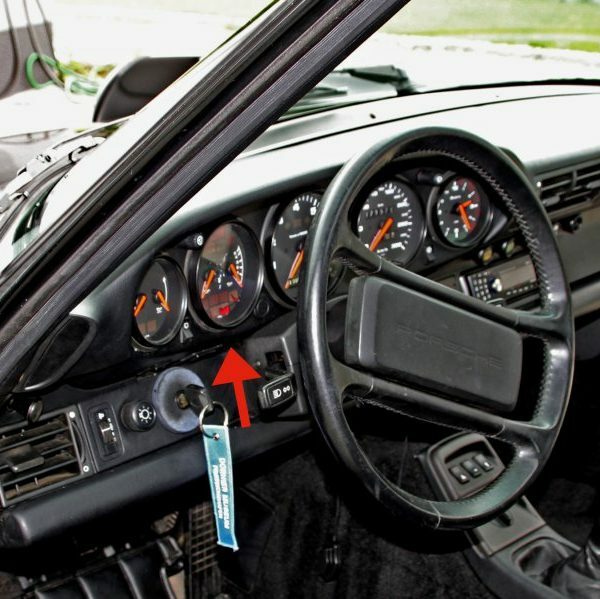 In order to avoid this, Porsche decided to upgrade all 964s with an aeration tube which is mounted with the ignition distributer. However, it is still highly recommended to replace the drive belt every 12,000 kilometres. 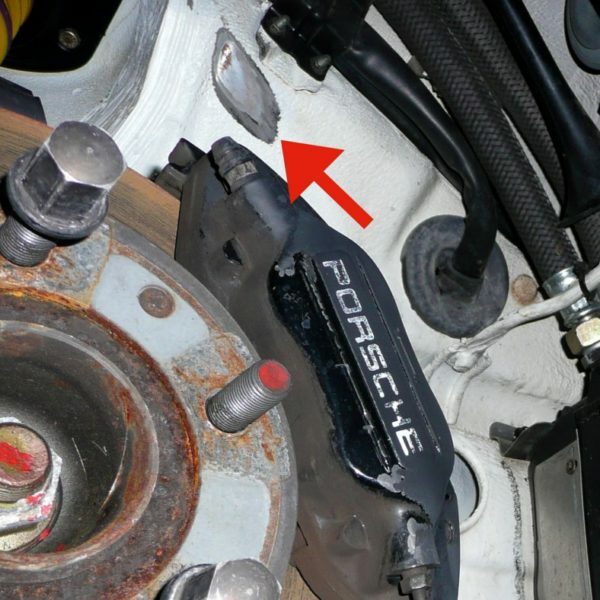 Mounted ignition distributor – Porsche’s recommended ventilation upgrade can be seen here. The second image shows a part of the ignition distributor without its distributor lid and slider, revealing the distributor’s cambelt for the second ignition circuit. Another flaw would be the rubber sprung dual mass flywheel. The first models manufactured by Freudenberg tended to premature attrition and almost all cases have been replaced by steel sprung LuK-models. 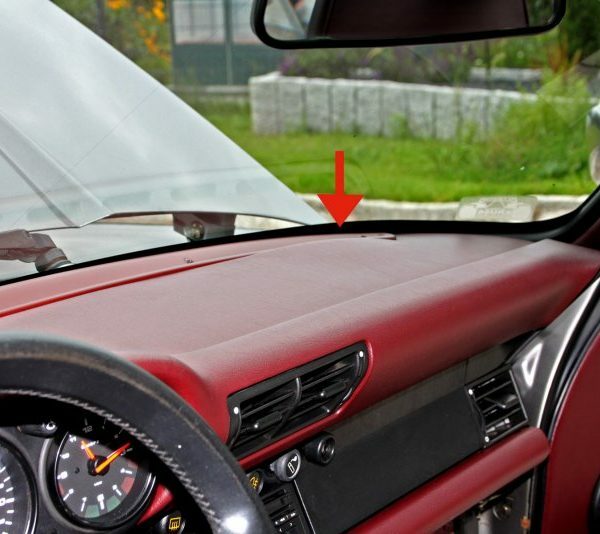 Those who are interested in a Carrera 4, should definitely have the ABS control unit and high-pressure pump inspected. 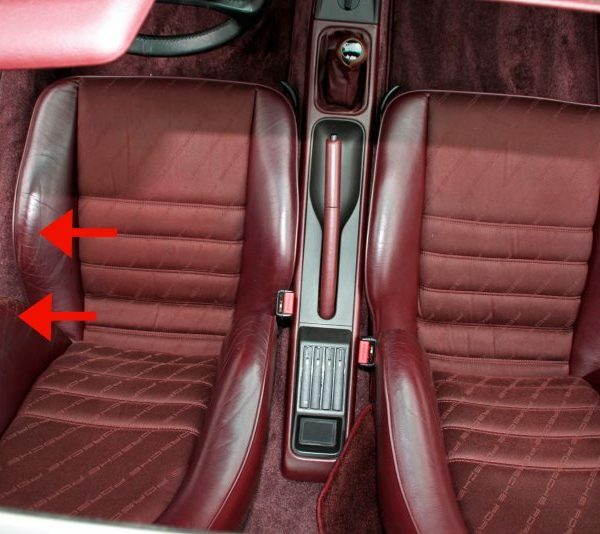 Both are located within the trunk’s front area. The plug connection could be corroded. Replacement is not cheap and costs up to 4,000 Euros. Here’s a tip: unplug and check for corrosion. The gearbox plays a big part when it comes to reliable power transmission. The 964 comes with Tiptronic automatic or five-speed transmission. The gearbox is basically maintenance-free, as long as oil is being refilled regularly and it’s not leaking. In the case of a manual gearbox, however, the baulk rings will start to wear over time. The Transaxle differential, on the other hand, excels in durability. 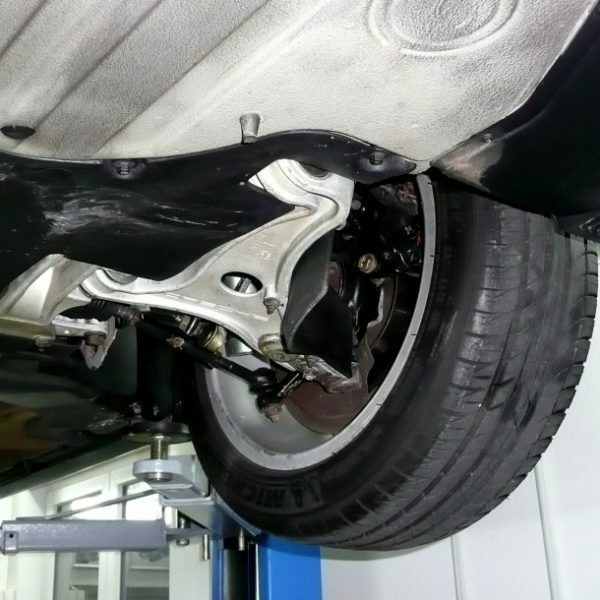 The front axle’s A-arm, ball joints, tie bars, shock absorbers and brakes are considered wearing parts. The picture shows the wheel suspension’s front right area. The A-arm, ball joint, tie bar and a shock absorber’s bottom part can be seen here. The front right A-arm’s worn out rubber-metal bearing can be spotted here. The A-arm definitely needs to be replaced. Especially, in the case of a previous owner who liked to hit the roads in a sporting manner, having to replace parts is bound to happen. However, the original parts are not cheap. The 964 comes off-the-shelf equipped with BOGE shock absorbers, which promise pleasant riding comfort. The Bilstein or Koni shock absorbers, however, are sportier and harder but also have higher durability. When purchasing a 964, newly replaced shock absorbers are a big plus. Unfortunately, the light metal brake bodies have a tendency towards corrosion and might block. It’s better to look twice. When it comes to the chassis, most drivers like to have it lowered but there’s also drivers who prefer bigger and wider tires. These tuning measures could however affect the driveability and are only permitted if they are specifically fit for the 964. Changes to the wheels could scrape the wheel suspension or wheel case. 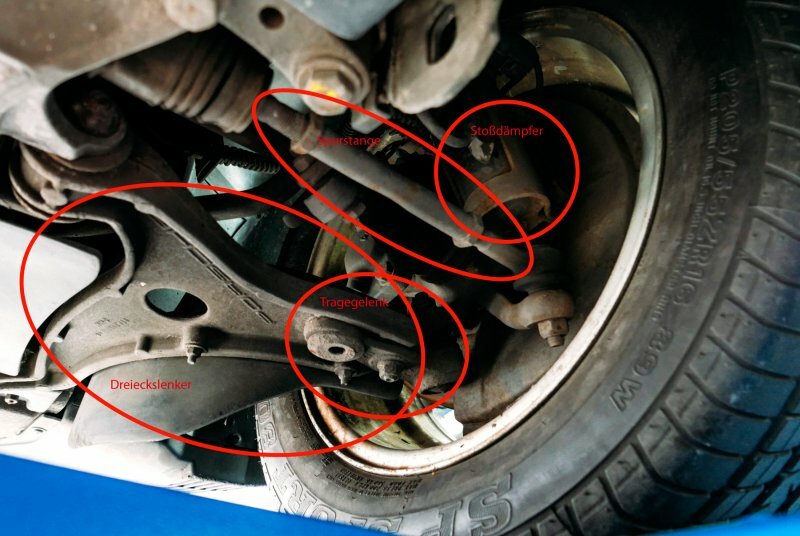 This photo shows a reinstated wheel suspension. This is what it’s supposed to look like. In this case, body-to-tire clearance has not been checked over for several times. No changes should be made to the standard chassis thread, because they could lead to a deadly accident. They only serve to align the wheel load and are not intended for lowering the chassis. Das Cockpit des Porsche 964 ist voll von elektronischen und elektrischen Ausstattungsarmaturen. Diese wurden entgegen dem 911er Vorgänger komplett neu entwickelt. Insgesamt zeichnen sich diese Komponenten durch eine hervorragende Verarbeitungsqualität aus. Jedoch sollte jeder vor dem Kauf die Funktionalität von Klimaanlage, Fensterheber, elektrischer Sitzeinstellung und anderen Möglichkeiten überprüfen. Die Anzeigeinstrumente mit Durchlichttechnik können im Laufe der Jahre jedoch gealtert sein. Farbabblätterungen am Außenring und an den Zifferblättern sind keine Seltenheit. Zu sehen ist das Armaturenbrett eines C2. Gut zu erkennen die Farbabblätterungen an den Zifferblättern. Meist kommt dies durch Feuchtigkeit zustande. Bei einigen Modellen sind hier keine Schäden vorzufinden, bei anderen wesentlich mehr. Bei der Produktion wurden hier wohl verschiedene Materialien verwendet. Die serienmäßig eingebauten Sitze überzeugen nicht nur mit einer guten Verarbeitungsqualität, sondern bieten auch einen ausreichenden Seitenhalt. Häufig sind jedoch die nach vorne neigenden Seitenwangen durch Ein- und Aussteigen stärker verschlissen. Deutlich zu sehen der erhöhte Verschleiß an den Seitenwangen des Fahrersitzes durch häufiges Ein- und Aussteigen. Für eine Laufleistung von 200.000 km jedoch akzeptabel. Bei Cabrios sind häufig witterungsbedingte Schäden anzutreffen. Die Innenmaterialien und insbesondere die Lederausstattung sind von der Sonne ausgeblichen. Auch keine Seltenheit sind verzogene Armaturenbretter. Das kommt bei Cabriolets und auch bei Coupés häufig vor. Hier ein Beispiel für ein verzogenes Armaturenbrett. Abhilfe gibt es nur durch eine teures Neuteil oder aber durch ein neues Beziehen bei einem guten Sattler. Der Porsche 964 wurde als Nachfolger des 911 von 1988 bis 1994 als Coupé, Targa und Cabrio gebaut. Die Motorenpalette reicht von 3,3- bis 3,8-Liter-Sechszylinder-Maschinen mit einer Leistung von 184 bis 280 kW. Während der Carrera 2 ausschließlich über einen Heckantrieb verfügt, besitzt der Carrera 4 Allradantrieb. Insgesamt ist das Fahrzeug 4,25 m lang, 1,65 m breit und nur 1,32 m hoch. Der Radstand beträgt 2,27 m. Der Bolide bringt dabei ein Gewicht von 1.350 bis 1.470 kg auf die Waage. You only want the best for your 964? Ich habe die Datenschuterklärung zur Kenntnis genommen. Ich stimme zu, dass meine Angaben zur Kontaktaufnahme und für Rückfragen gespeichert werden.